Comparing example-based tests and property-based tests for the Diamond Kata, I’m struck by how well property-based tests reduce duplication of test code. For example, in the solutions by Sandro Mancuso and George Dinwiddie, not only do multiple tests exercise the same property with different examples but the tests duplicate assertions. Property-based tests avoid the former by defining generators of input data, but I’m not sure why the latter occurs. Perhaps Seb’s “test recycling” approach would avoid this kind of duplication. But compared to example based tests, property based tests do not work so well as as an explanatory overview. Examples convey an overall impression of what the functionality is, but are are not good at describing precise details. When reading example-based tests, you have to infer the properties of the code from multiple examples and informal text in identifiers and comments. 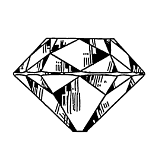 The property-based tests I wrote for the Diamond Kata specify precise properties of the diamond function, but nowhere is there a test that describes that the function draws a diamond! There’s a place for both examples and properties. It’s not an either/or decision. However, explanatory examples used for documentation need not be test inputs. If we’re generating inputs for property tests and generating documentation for our software, we can combine the two, and insert generated inputs and calculated ouputs into generated documentation. Copyright © 2015 Nat Pryce. Posted 2015-02-15. Share it.